Those with ties to the community association industry in Arizona are acutely familiar with certain statutes that govern the day to day operations of associations—namely, the Nonprofit Corporations Act, the Planned Community Act, and the Condominium Act. As complex as each of these statutes is, we often forget that there are other pieces of legislation, on both a state and national level, which can significantly impact the way we interact with homeowners. One such often overlooked piece of legislation is the Servicemembers Civil Relief Act. In recognition of the fact that military service often impedes the ability of servicemembers to fulfill their financial obligations and to assert their legal rights, Congress originally enacted legislation during the Civil War to suspend certain statutes of limitations as to members of the military. A version of this legislation was enacted again during World War I (circa 1918) and a modern version was passed on the eve of World War II (the “Soldiers’ and Sailors’ Civil Relief Act of 1940”). In 2002 Congress again devoted attention to this issue and, in late 2003, passed a modernized version that we know as the Servicemembers Civil Relief Act (the “SCRA”). The Act applies to members of the uniformed services (which include members of the Army, Navy, Air Force, Marine Corps, or Coast Guard) that are “active duty,” and, under certain conditions, also applies to members of the National Guard, Public Health Service, and National Oceanic and Atmospheric Administration. The term “active duty,” means full-time duty in the active military service of the United States, including full-time training duty, annual training duty, and/or attendance, while in the active military service, at a school designated as a “service school.” A member of the military does not have to be deployed abroad, or engaged in combat, to receive the protections of this Act. The SCRA provides for several benefits and protections to members of the military. For example, it limits the maximum interest rate on debts entered into by the servicemember before he or she is called to active duty (the maximum rate is 6%). The Act also more broadly applies to civil actions and/or administrative proceedings in which a servicemember is a party. For example, if a court determines that a defendant to a civil action is in the military service, the court may not enter a default judgment against that individual until after the court has appointed an attorney to represent the defendant and/or the servicemember is entitled to a “stay” for 90 days or more. With that being said, the Act is not entirely one-sided. If a servicemember is seeking to have a judgment set aside, he or she must demonstrate that the military service materially affected his or her ability to defend against the claim, and that he or she possesses a meritorious legal defense to the claim. Most importantly, the Act does not excuse compliance with the obligations imposed by an association’s governing documents. It simply affords certain protections to members of the military that may have difficultly complying due to their military service. 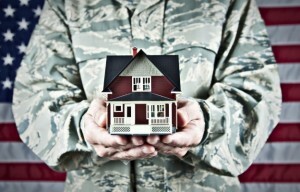 So, to the extent your association is addressing a compliance or collections issue with a homeowner that is in the military, remember that this Act may apply, and consult your association’s legal counsel with questions about the particulars of this complex piece of legislation. For further information, contact Kellie Callahan or another attorney in our firm. Does Your Association Have Appropriate Signage for Towing and Vehicle Immobilization?